Months after submitting his initial proposal for a mixed-income apartment and retail project on a former Central Park bowling alley site, developer Hormoz Mansouri is back with revisions — and a new request for zoning variances. Mansouri, who owns architectural firm EI Team, wants to tear down a vacant former bowling alley at 47 East Amherst St. and build a five-story building on the 3.34-acre property. 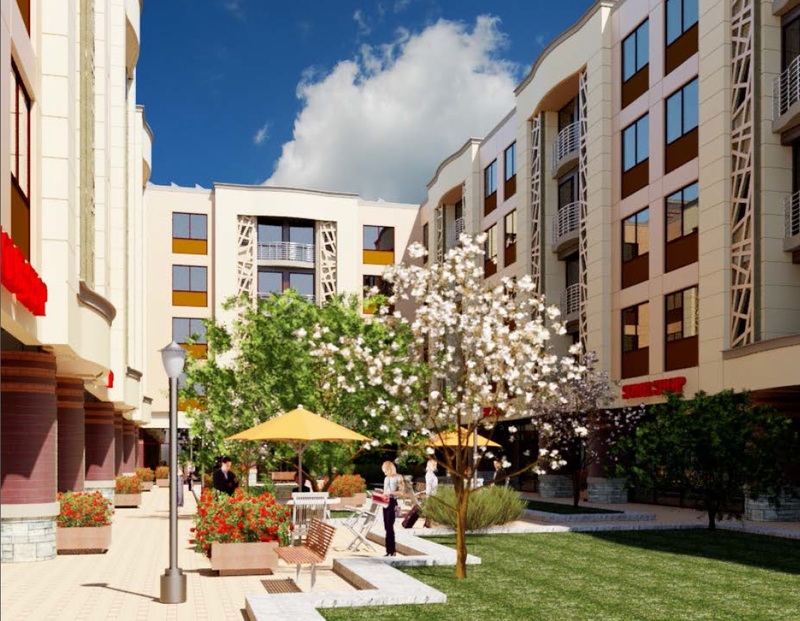 The goal is to meet a need for affordable senior housing and commercial activity in that area, near where LPCiminelli is converting the former Central Park plaza into a residential neighborhood called Highland Park Village. Plans by Mansouri's firm call for first-floor commercial and storefront space to serve residents and the local community, with 171 one-bedroom apartments of 668 square feet and seven two-bedroom units at 900 square feet on the upper four floors, 153 parking spaces and landscaping. The U-shaped building would be four floors and 44 feet in height at East Amherst, with a fifth floor and a height of 54 feet at the rear. Parking would be on the side at Holden and Pennel streets. Mansouri is seeking approval from the Zoning Board of Appeals for exceptions to the Green Code for height and parking, arguing that the design can't be achieved any other way. "As the existing building has been vacant for quite some time and is in a dilapidated state, the proposed project will bring a desirable change to the character of the neighborhood," Mansouri said in the application, noting the project is supported by Common Councilmember Ulysses Wingo and the Buffalo Urban Renewal Agency. Mansouri originally brought the project forward late last year, but he revised the design based on community comments and recommendations from the Zoning Board, which denied two of six variances in December. 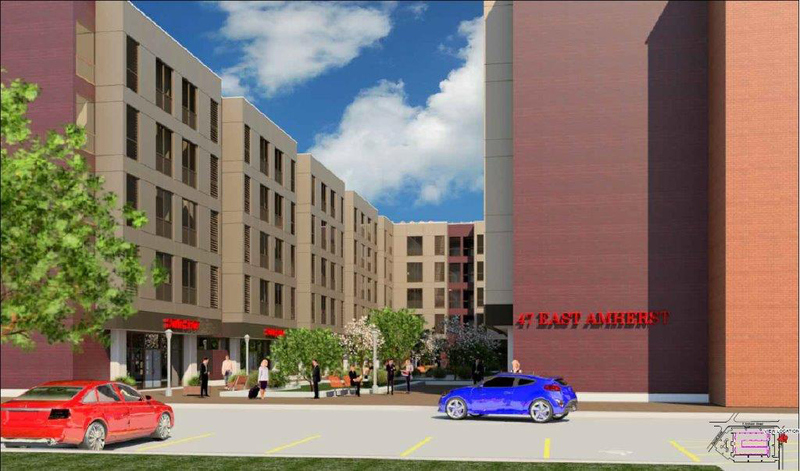 Among the changes were the reduction to four stories on East Amherst and removal of parking along that street, instead shifting it elsewhere and shielding it from view using landscaping, additional green space and a fence.